Nail Helmets?! Yes, you read that right! 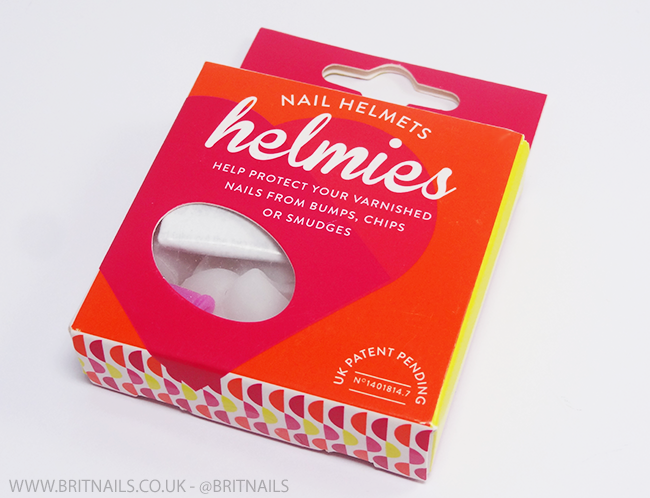 Today I'm taking a look at Helmies, a new (ish) product designed to help protect your freshly painted nails from bumps and smudges. Helmies are soft, reusable silicone covers ("helmets") which are worn over your nails to protect against bumps and smudges while they dry. 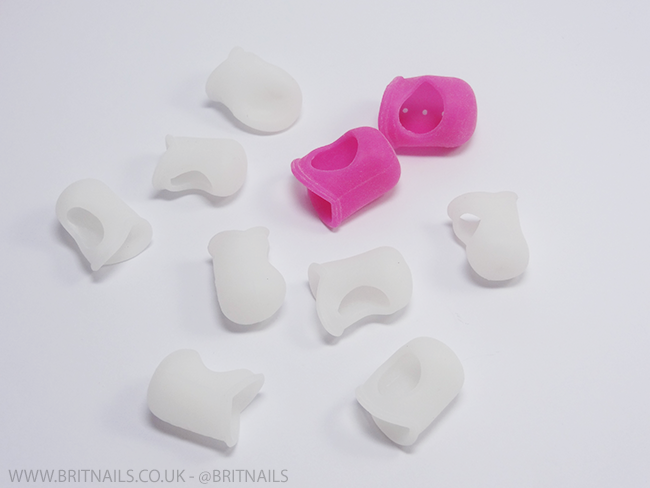 Each pack contains 10 helmies for your fingers including 2 smaller ones for your little fingers, plus two large pink helmies for your big toes. For some reason my pack didn't contain the smaller ones for my little fingers...I can only assume because I had a press sample? When your nails are touch dry, place the helmies over your nails. The closed side goes over your nails, and the open side is so you can still touch things such as your phone (thank god). The idea is to continue on with your day (or go to bed) without worrying about bumping your manicure while it dries. 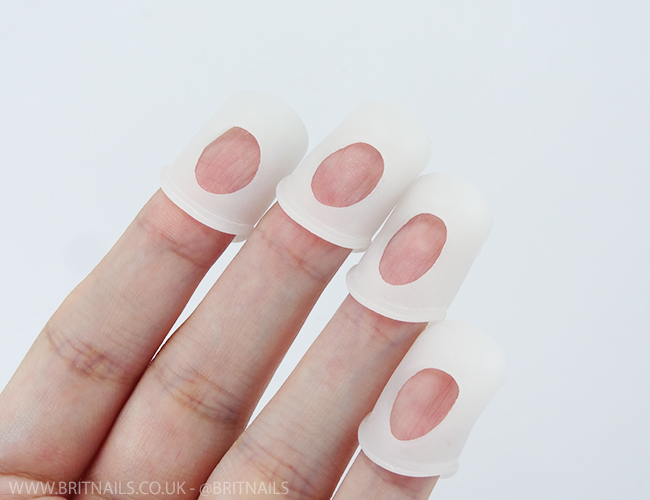 The breathable holes help your manicure to dry! Hmm, sort of. When I removed them after about an hour, there was a couple of scuffs in my nail polish. Admittedly not as much damage as there would have been had I not been wearing the Helmies, but it wasn't the perfect manicure I was expecting. One or two of them kept sliding off my fingers too which got quite annoying, I think they'd be better if they came in different sizes. Some people may find them useful, but for me, they don't give me a reason to stray away from my trusty quick dry top coat. I did find a better use for them, however! I've been placing them over my nails on one hand while I use nail polish remover on the other...it protects my nails from being dried out and damaged by the remover, especially as I use it SO often. I also feel like they could be more useful if worn when you go to bed with a fresh mani as you're not bumping your hands around as much. What do you think, are Helmies something you would try? They didn't smudge going on, which is why you're supposed to wait until they're touch dry I suppose...I was still cringing putting them on though! Interesting to hear another side to the experience! I am interested in these because I am so inpatient when it comes to the drying tim of nail polishes! Very interesting concept but not sure that I would use them. I'm also all about the quick dry top coat so it would be somewhat redundant for me. I do like your idea of using them when you are using acetone though! That's very clever and something I would totally use! To be honest, you provided a very good review, considering the product it is. Helmies are definitely not for me - die hard fan of the speed dry top coat as well - and I just think it's a silly option when there's far better ones out there. 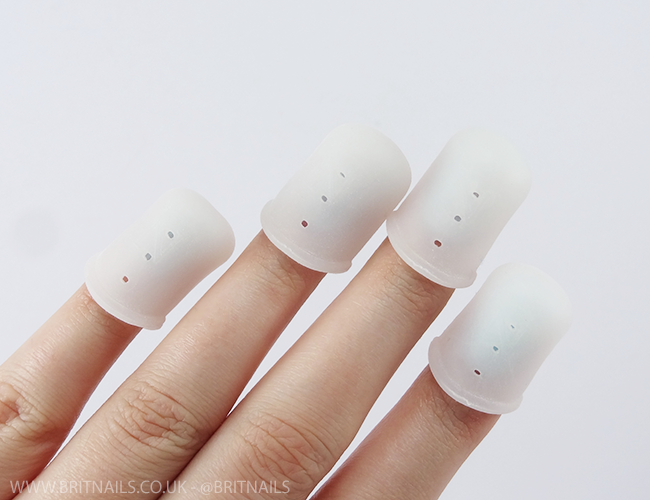 I'll admit - I like the idea, but I'd probably already damage my nails by using them in the first place. Quick dry topcoat has changed my life and I don't see any reason to try and change that! Valesha summed it up perfectly for me. I wouldn't use these to protect my nails from smudges, I much prefer to use a quick dry top coat and just be aware of my hand placement. However I think these would be great to protect your nails on your other hand when removing polish while swatching!! I'm with you...quick dry topcoat bandwagon all the way! They are an interesting concept though, for sure!